Our Marketing Manager, Martin, takes us through what is involved being a Marketing Manager and his daily routine. Martin has been with the company for two years, he started his working life as a Flash animator / web designer before running his own web agency for a few years. Following a move into marketing and gaining a CIM marketing qualification, Martin joined us in 2013. His daily routine involves drinking black tea and wondering if anyone brought in any cake. The day starts with a check of emails, sales figures and the looking over of daily / weekly reports and analysing both web traffic and call volumes. The marketing department is responsible for making sure all of ESE Direct’s sales channels are working together and that all advertising initiatives are delivering good return on investment. The job of marketing manager involves a lot of crossover with other departments, so a fair amount of time is spent talking to procurement about the latest products, getting feedback on sales trends and enquiries from the sales department and working with IT to make improvements to the website. The marketing role is a mixture of technical elements and creative thinking. Much of the role is devoted to strategy and making sure everything joins up and that the customer is put at the centre of our business. The best parts of the job are working with the team to come up with good content ideas and the satisfaction of seeing your ideas come to life and deliver great service and an unbeatable customer experience. The day finishes at 5.30pm with a last look over the figures for the day and a few minutes to make some notes for things to follow up on the next morning. 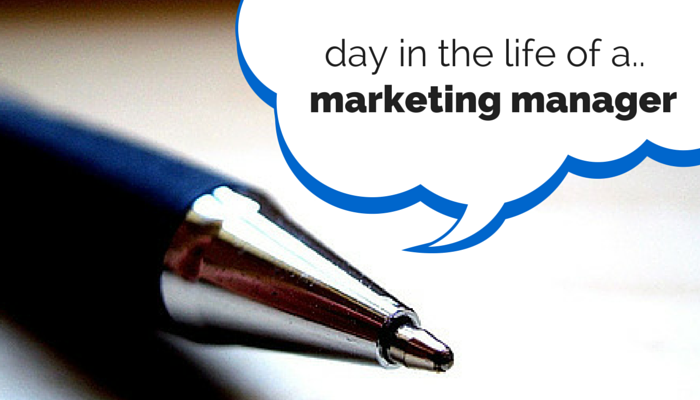 Tags : a typical day marketing manager what does a marketing manager do?